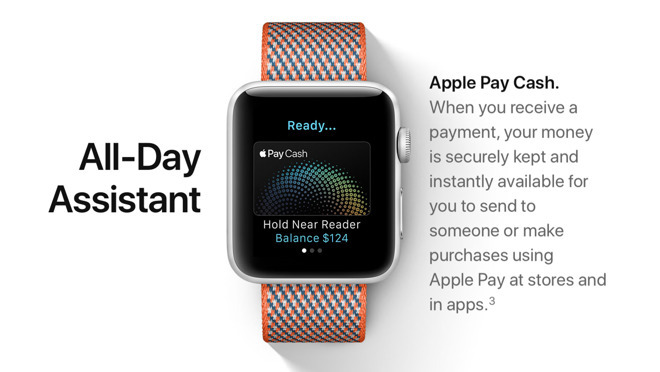 Apple on Tuesday launched watchOS 4.2 for Apple Watch, giving users of the wearable, connected device the ability to send and receive money from the newly online Apple Pay Cash service. The final release comes after four beta builds were issued to developers and public testers. Apple Pay Cash began rolling out on iOS devices on Monday. Upon installing watchOS 4.2, users will find a new Apple Pay button at the bottom of a conversation in Messages. 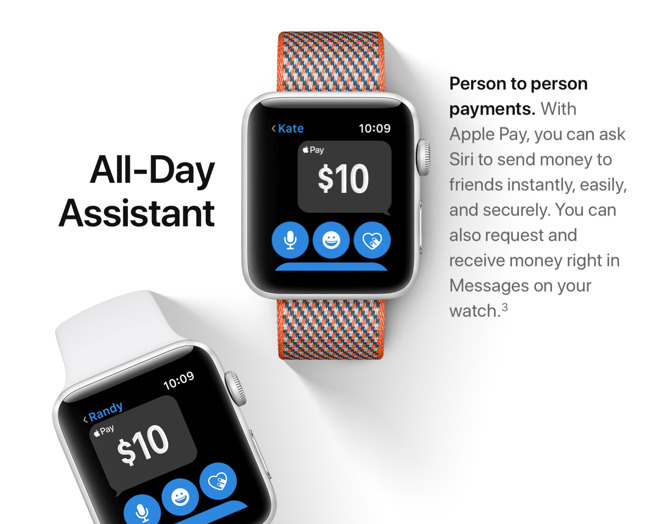 From there, users can quickly authorize and send payments directly from their wrist, without the need to use an iPhone. The release is identified as Build 15S102. The update also adds support for HomeKit sprinklers and faucets, adds enhanced downhill snow sports tracking for third-party apps, and resolves a variety of bugs, including one that would crash Siri when asking about the weather. Support for Apple Pay Cash and watchOS 4.2 requires a connected iPhone running iOS 11.2. That update was pushed out early on Saturday to fix a bug that caused repeated crashing on affected iOS devices. watchOS 4.2 can be installed from the Apple Watch app for iPhone.